While a low carb diet isn’t exactly our intention, on occasion we’ll have low carb dishes. This usually results in a low carb breakfast option like this delicious low carb breakfast scramble. During the week we don’t make a big to-do about breakfast but over the weekends, we do put more effort into it. Sunday is always pancake day and Saturday, we get a little more creative. Kyle’s boys, T & J, have cereal usually but I’ll make something for myself, Kyle, and Squeaker. This breakfast scramble can be completely vegetarian if you’d like and you can also add in other vegetables. Next time, I think I’ll use spinach as well. It cooked relatively quickly and was incredibly filling. The perfect start to our day, for sure. 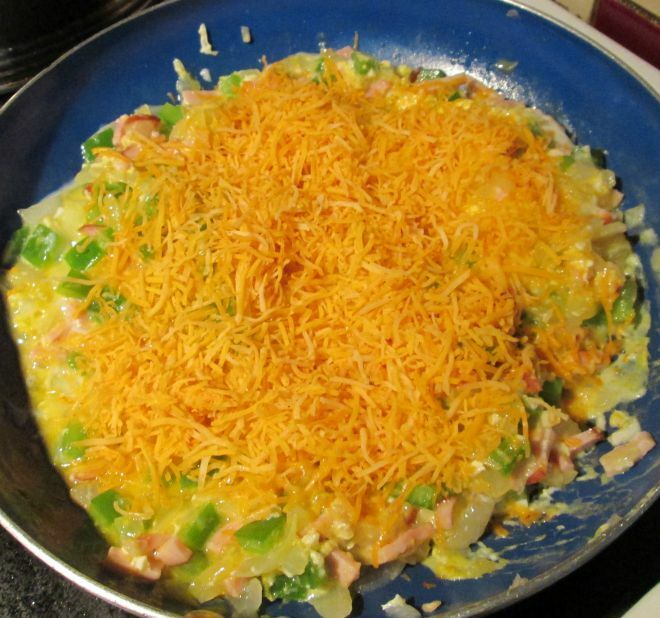 The main components, aside from the eggs, are: Canadian bacon, green peppers, and white onion. You can substitute the Canadian bacon for ham or regular bacon or sausage. We used a Taco cheese blend but you can use any type of cheese that you like. Or, if you’d rather, you can omit the cheese all together. I just enjoy having cheese in my breakfast scrambles so it’s a staple ingredient for me. 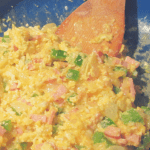 This quick and easy low carb breakfast scramble is packed with protein and will leave you filled for the morning. 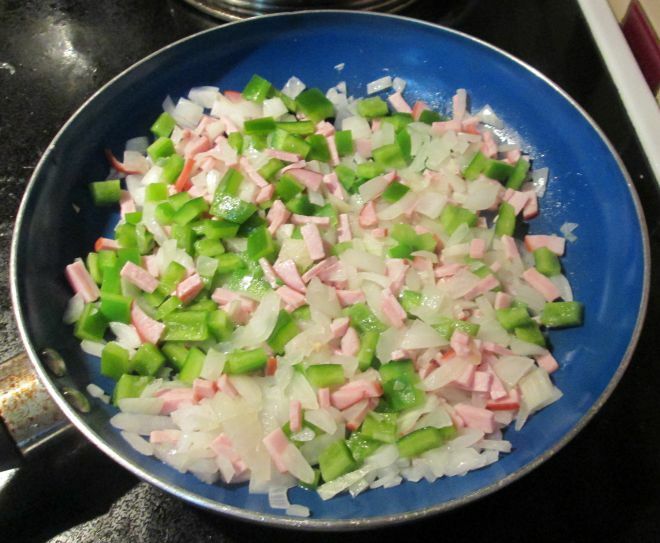 In a medium to large frying pan, melt the butter and then add the Canadian bacon, green peppers, and onions. Cook for a few minutes, breaking down the yolk and scrambling the eggs together with the meat and vegetables. Add the cheese and mix together. When the eggs are done to your liking, remove from heat and let cool for a few minutes before serving. We have a few more breakfast recipes to share, just a matter of getting the images together and putting a few finishing touches on them. 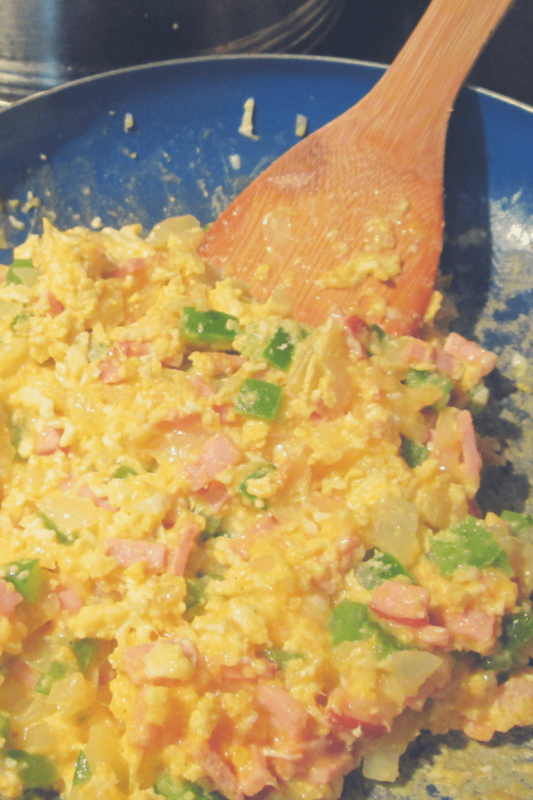 Low carb breakfast scrambles are one of our favorites to do and it’s also on the list of toddler approved recipes as well. When I cook, I try to make sure that Squeaker is going to enjoy it as well. So far I’ve got a 100% approval rating. 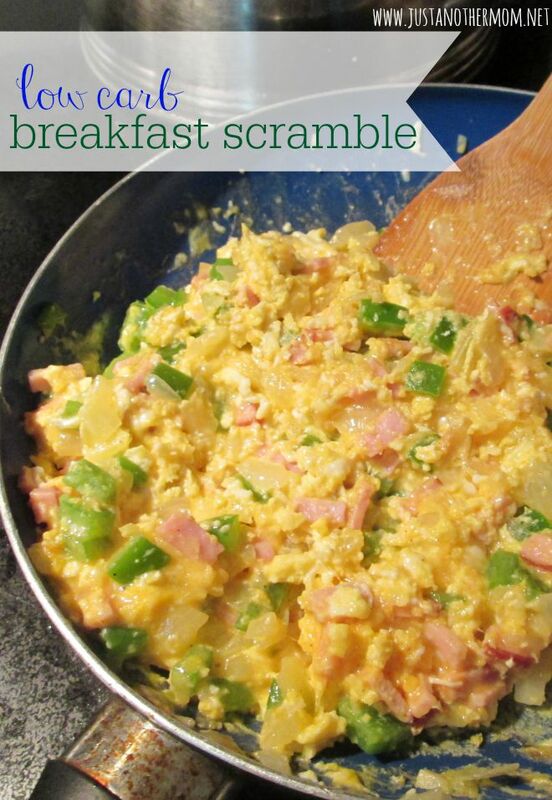 Do you enjoy making breakfast scrambles? What do you like putting in them? this has me so hungry!! I’m always looking for recipes to spicing up and egg!